In an interview on Episode 321 of Lewis Howes’, “School of Greatness” podcast, the award-winning director and photographer, Chase Jarvis talks about the importance of visualizing success for everything that he does. In reference to the work of Ira Glass, Chase mentions, “When we are first starting out on something, what we see in our mind and what we are actually able to create is our creative gap. Through repetition, practice, skill, self-talk, and visualization, our goal should be to close the gap between what we envision and what we will someday produce.” Ultimately, the practice of acknowledging our creative gap and moving towards closing our creative gap is what separates those who achieve their ambitions, dreams, and goals from those who unfortunately do not. When Chase talks about closing in on his creative gap, he mentions that he believes he can make the things that he sees in his mind. This is because he has developed the experience, resources, and tools that have taken him years to build upon. As Malcolm Gladwell denotes in one of his best-selling books, “Outliers,” it often takes close to a decade or longer before we really begin to zero in on our life-long creative gap(s). How Can We Apply This Method To Our Life? Are you one of those people who feel as though you are just not a creative person? Guess what…our personal belief is that we were all created therefore we are all creative. We can all create a vision. Our lives are a creative process. As Gary Vaynerchuk would say, we can all reverse engineer our ideal outcome. If our creative gap is unfulfilled, most likely we will be unfulfilled! Think about the impact this has on our careers, lives, and relationships. This causes us to think, what is the correlation between lacking creative fulfillment and living an unsatisfied life? How might our creative gap affect our economic, educational, and social gaps? This may serve as a great hypothesis for a research study. Stay tuned, we’ll keep you posted! As creative people, it’s important that we learn how to extend our artistic expression across various mediums. For example, if we are a writer, we may want to have an essay, a journal, a novel, some poetry, and a short story. Having multiple activities to tap into within the same main sphere of artistic expression allows us to stay fresh and shift gears from one project to another when necessary. According to a study read by Chase, he mentions that the ideal number of creative projects to have for a designer is five. It’s important to keep in mind that there are certainly different levels of attention, development, and intensity required for each project. However, if we’re stuck on one thing, having a few options allows us to shift gears and work on something else. Sometimes walking away from something allows us to come back with a fresh state of mind and a fresh set of eyes. At times, this may require going to bed. At other times, this may entail seeking adventure, exploration, and discovery. As author Charlie Hoehn would say, “Play It Away.” One of the best strategies to relieve anxiety and stress is to get outside and let it all go. We must ask ourselves, what gives us joy? Is it playing frisbee, going for a walk, people watching, etc? The choice is ours! This morning I checked out Lewis Howes’ most recent interview on his “School of Greatness” podcast with Tim Storey. Tim had a lot of insight to share on the following topics in regards to how we can both face and overcome our most difficult obstacles in life. It’s important that we prepare ourselves to absorb life at it’s fullest. This requires us to be in the moment. We need to stop what we are doing, look at where we are, and listen to our surroundings. We must be fully present, fully living, and fully alive. “Without a dream, we are not living” says Tim. “Dreams are in us, they are in our DNA. When we dial into the real us, we are all dreamers.” Dreaming allows us to raise our ceiling in regards to reaching our highest potential. How Might We Discover Our Purpose? Our identity is who we are. It consists of all of the things which we cannot change. For example, we cannot change our ethnic background, our family structure, or when and where we were born. (Ex: Hello, my name is Aquaus Kelley and I am of African-American descent. I am from Staten Island, NY and I graduated from Rutgers University with a degree in Communication). Our calling is what we are meant to do. It is why we are here on this planet. It is our purpose or social mission. In Victor E. Frankl’s book, “A Man’s Search For Meaning” he calls this our “Will to Meaning” (Pg. 99). If we are unaware as to what our purpose may be, we may want to start with discovering our own interests and passions. (Ex: My calling is to lead people towards becoming the best versions of themselves in an effort to set them up for personal success. Overall, my social mission is to use my influence to project positivity across the globe and invest in the collective future of society through the arts, education, entertainment, and leadership). Our assignment is our current day to day role or vocation. Ideally, this should align with our calling. When our assignment does not align with our calling, it may cause Noögenic neuroses. According to Dr. Frankl, noögenic neuroses is the cause of frustration due to the misalignment of our calling (purpose) and our assignment (vocation). (Ex: My current assignment is that of a brand strategist, educator, and music publisher. 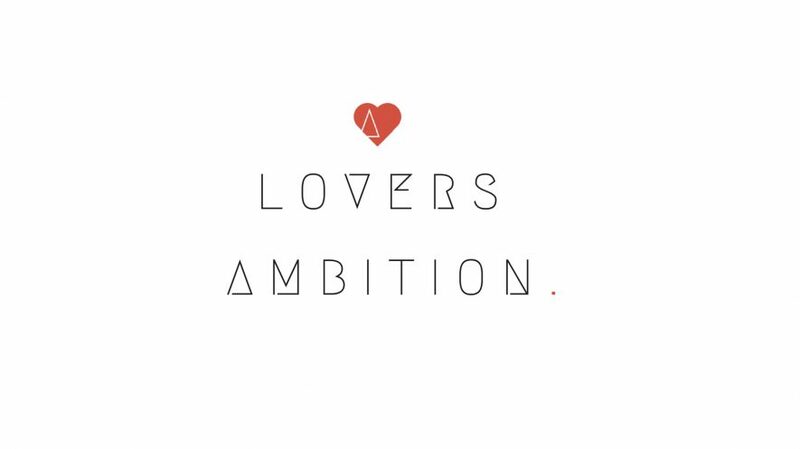 I curate content and develop brand strategy through A Lovers Ambition Lifestyle Group, I work with middle school students in the field of education, and I specialize in identifying talent and creating opportunities for emerging artists as a music publisher). Think about it. How do we feel when we are in a profession that does not allow our own purpose to flourish? Once we are able to discover, identify, and pursue our calling, we are then better equipped to select and manage which assignments are best for our own ultimate success!